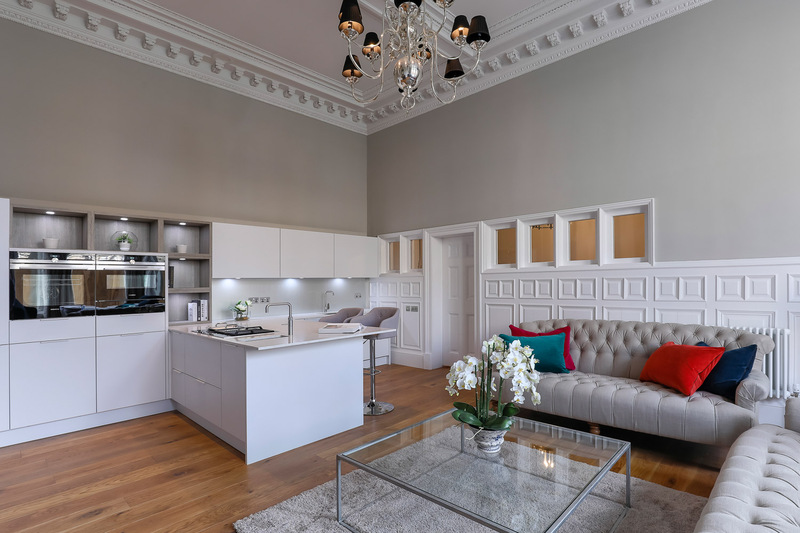 This stunning three bedroom apartment was part of a refurbishment of a Victorian Terrace in Edinburgh's prestigeous West End. 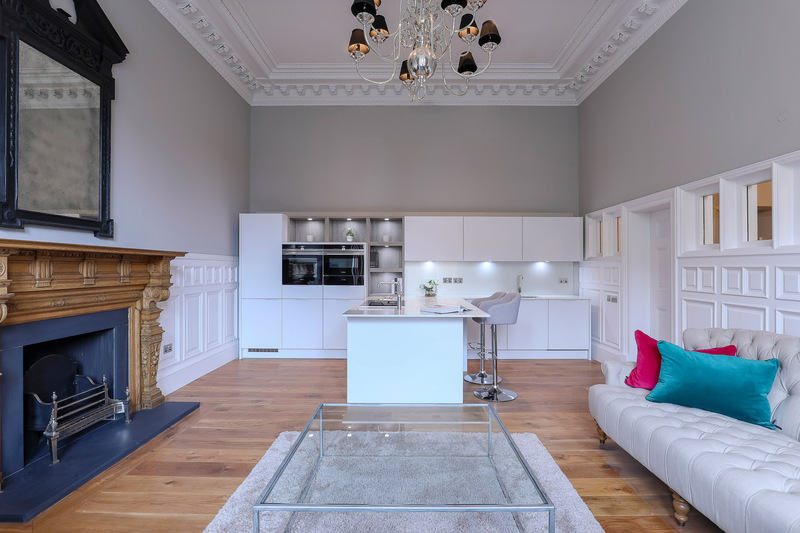 The client wanted to create a contemporary open plan kitchen, living & dining space with designer quality products that were sensitive to the existing interior elements. The back wall was framed out to protect the exisiting wall panels allowing for the T shaped footprint to provide an island like workspace without encroaching too far into the living space. The kitchen footprint is terminated at each end for a freestanding appearance whilst protecting the existing wall panels. 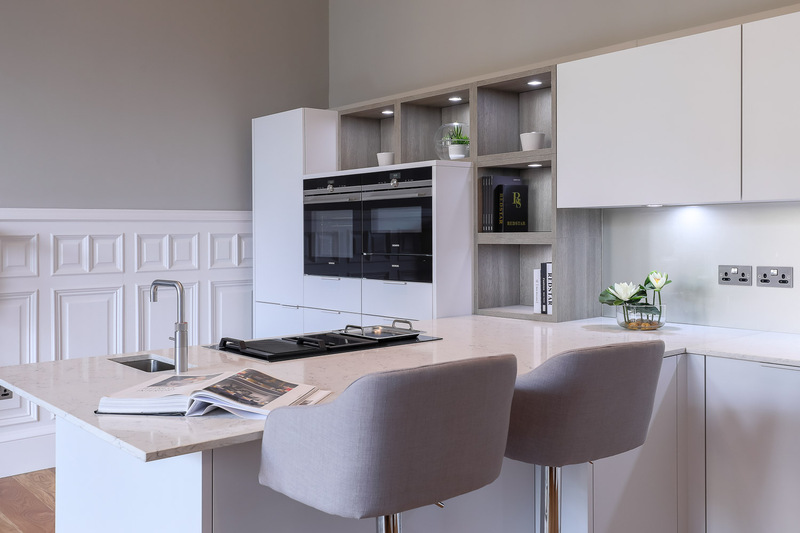 A laminate door with colour matched spray lacquered handles and 20mm Siliestone worktops were used to create a contemporary and subtle style. 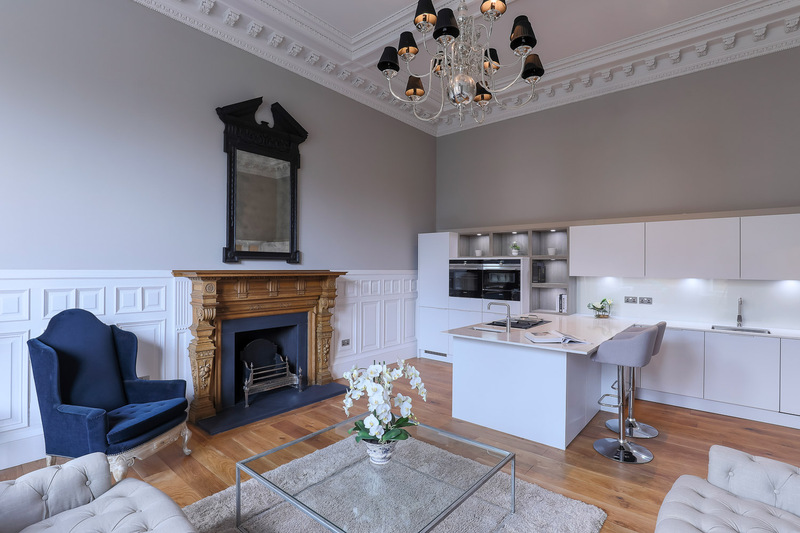 The breakfast bar softens the kitchen to living transition and provides informal dining/eating, whilst the positioning of open shelving and wall units creates a balance with the existing wall panels and window details.